Your day-by-day itinerary now includes Grizzly and Wolf Discovery Center. Deepen your sense of the past at sights like Uncle Tom's Trail and Fort Yellowstone Historic District. Spend the 25th (Tue) surrounded by wildlife at Grand Teton. On the 30th (Sun), dedicate a day to the elevated beauty of Mount Washburn. Next up on the itinerary: take in breathtaking views at Grand Canyon of the Yellowstone, look for all kinds of wild species at Grand Loop Road, cruise along Lamar Valley, and take in the natural beauty of Lone Star Geyser. 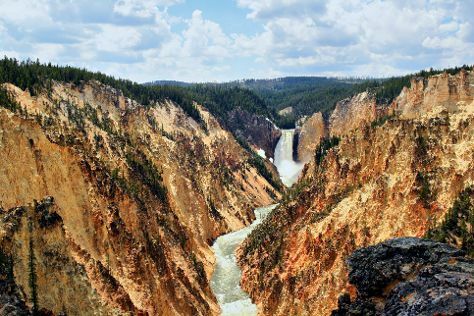 For other places to visit, photos, ratings, and tourist information, you can read our Yellowstone National Park trip itinerary builder tool . In June, plan for daily highs up to 66°F, and evening lows to 34°F. Wrap up your sightseeing on the 2nd (Tue) early enough to travel back home.